PASAY--Kwon Won-Il silenced the Mall of Asia Arena on Friday night when he knocked out Eric Kelly in the last preliminary fight of One: Roots of Honor. Kwon connected on a right hook that sent Kelly down the canvas, and after some more strikes, the referee called it a fight in just 19 seconds. Kelly has now dropped his last six fights, but none could be more saddening than this knockout defeat. 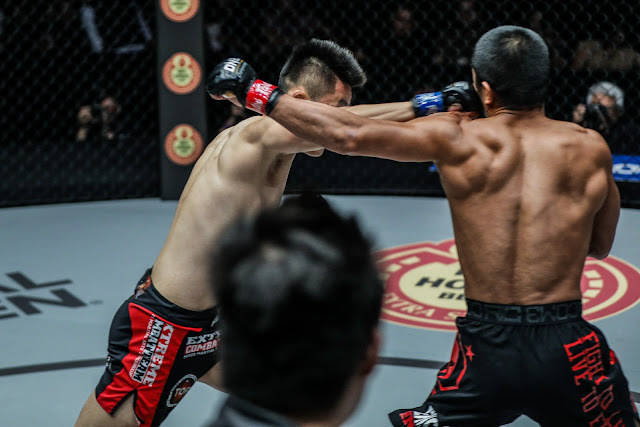 In other contests, Lerdsila Phuket Top Team defeated Kohei Kodera via unanimous decision, Niko Soe downed Eko Saputra via doctor's stoppage just three minutes into their fight, Xie Bin scored a second round D'Arce Choke win against Ahmad Jasoor, and Saemapetch Fairtex edged Ognjen Topic via majority decision.